The patented SPOTTY™ combines the excellent features & benefits of the Tile Diamond and Rug Renovator into 1 very versatile, effective and efficient cleaning product. The versatility means that you don’t need to get on your hands and knees to clean spots, stains, tile or grout lines. Easy to use for those in-home cleaning chores; whether it be tile, grout, general carpet cleaning, or cleaning spots and stains. Today's consumer takes great pride in their home. Keeping your home clean, comfortable, and attractive requires ongoing maintenance. Foot traffic, pets, and gravity mean that carpeting, area rugs and tiled surfaces collect more dirt, hair, crumbs, allergens and spills than any other household surface. Over time, routine vacuuming and sweeping alone are not sufficient to remove spills, stubborn stains, worn-in dirt, or embedded debris. The secret to the SPOTTY™ is the special brush design and the advanced chemistry of our cleaners working together in harmony. 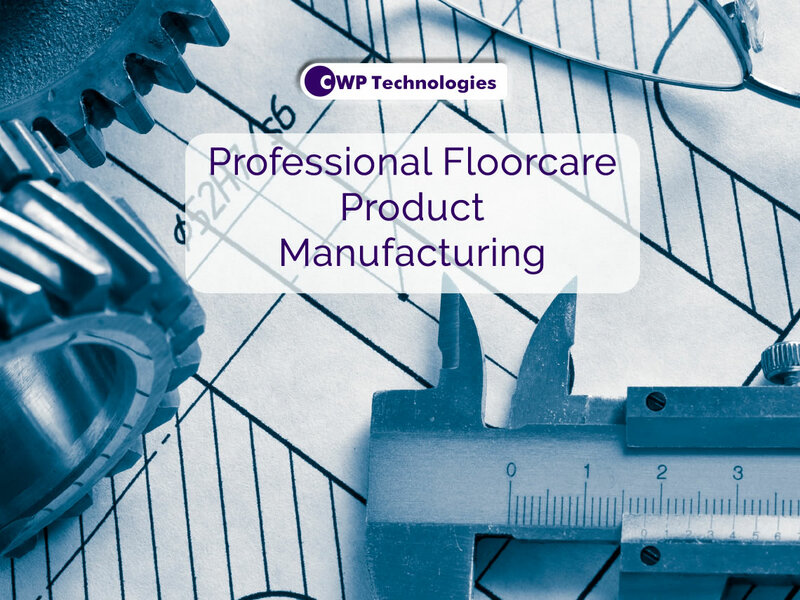 The patented SPOTTY™ from CWP Technologies is the tool savvy consumers can use along with our Rug Renovator Shampoo and Tile & Grout Cleaner to renew the look of any carpeted or tiled area. 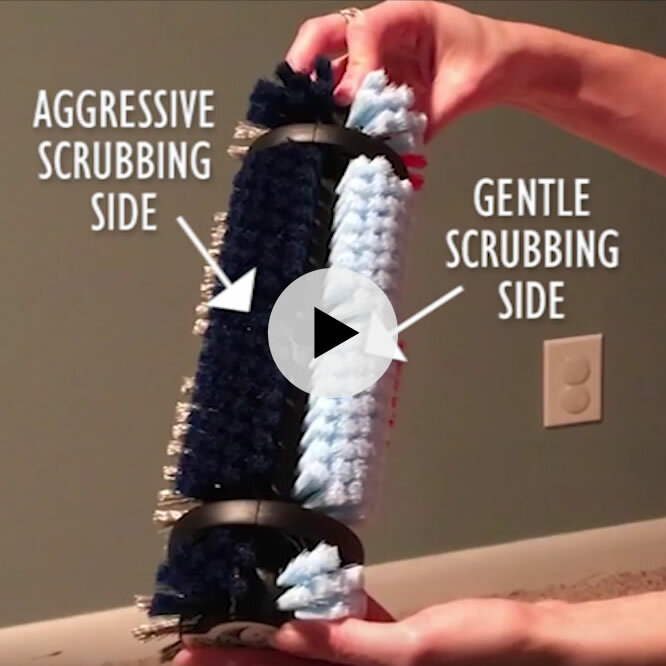 The new patented SPOTTY™ floor cleaning tool is also the answer for those of you who are tired of getting on your hands and knees to clean Carpet and Ceramic Tile floors. 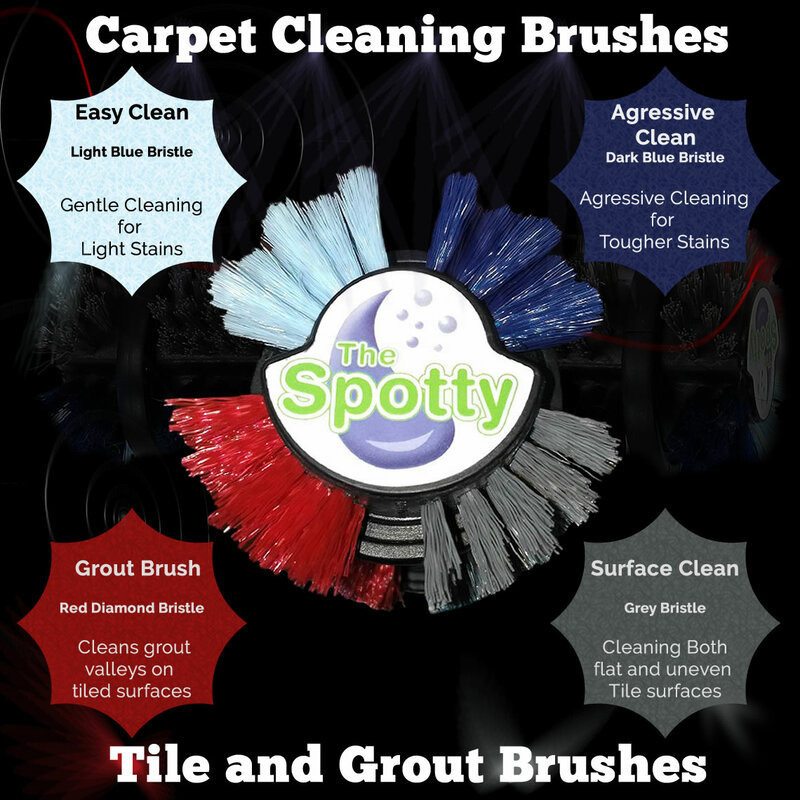 The SPOTTY™ cleaning system saves consumers time and money versus having their Carpet and Tile flooring professionally cleaned. CWP's Rug Renovator Carpet Shampoo is the carpet companion to the SPOTTY™ Brush tool. 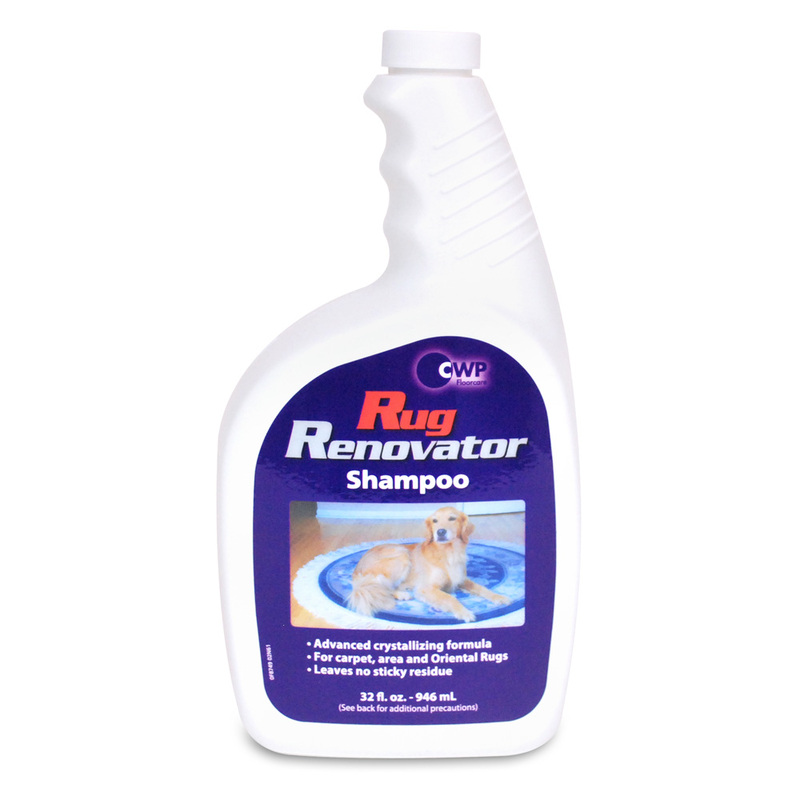 This heavy duty carpet shampoo can be used on all types of carpeted surfaces including area rugs. 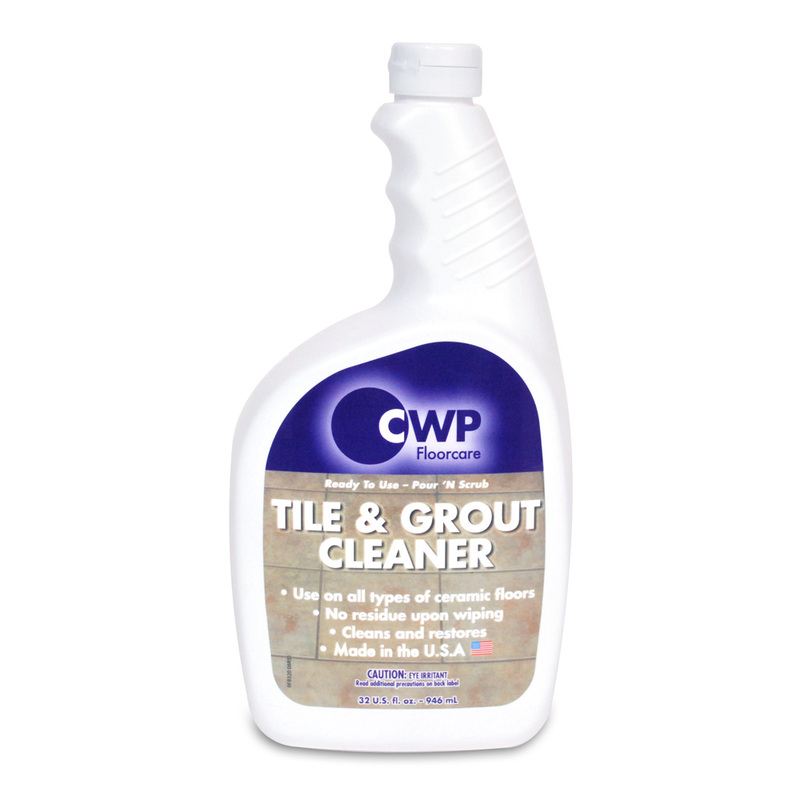 CWP's Tile & Grout Cleaner is the companion to the SPOTTY™ Brush tool. This ready-to-use cleaning product is a waterborne product that can be used on all types of ceramic floor surfaces. Combined with the SPOTTY™ cleaning tool your floors can be transformed to their original clean shine. Would you Like to Purchase The SPOTTY™ ?